With festivity in air the restaurant industry is abuzz with all the excitements that surround Diwali. The restaurant in the country has geared up together to mark this festive season more beautiful. It is that time in the calendar when every house is lit up with lamps and laughter and everyone seems to be in high spirit. The festival of ‘Diwali’ binds the entire nation in resplendent celebrations. Shopping, fireworks, exchange of gifts and a variety of gastronomical delights are all sign of the Diwali fever. On the other hand focusing the celebration, Frozen Yogurt chain Yogurberry has launched its new flavor ‘Maddy Vanilla’, a tangy sweet vanilla with a hint of cinnamon for the upcoming Diwai. To add more sparkles with its health benefits for Yogurberry regular customers, the company also offers various combo deals on its Mix Ins, shakes and parfaits. Diwali, the joyous festival known as the ‘festival of lights’ or Deepavali, translating as ‘row of lamps’ recognises the triumph of good over evil; light over dark; and Ravan’s defeat by Lord Rama. 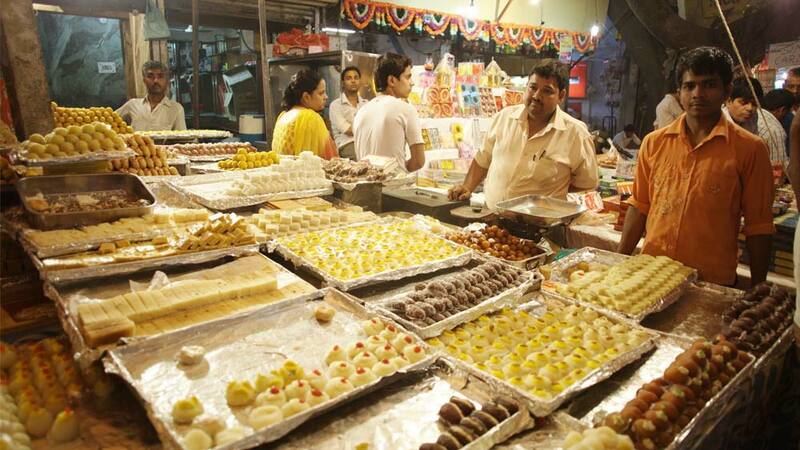 The festival offers an excellent opportunity to indulge in sweet snacks from across the country. The season invites you to indulge and explore the bounteous world of festive fodder India has on her groaning celebratory table. The European selection box dulls next to sweets like the fudgy, cheese-based Bengali sandesh and the coconut-rich confections of Kerala. Restaurant brand Fat Lulu’s, Gurgaon famously known for its hand-rolled, thin crust gourmet, wood fire pizza. Inspired by the streets of New York and keeping with the city’s cultural ethos, Fat Lulu’s has added a whole new selection of pizzas to its existing menu for Diwali. The additional items have something to woo each of its clients. Its Upper Manhattan pizza, for instance, with toppings of sour cream and tomato sauce, mozzarella, chicken breast, mushrooms, onions and cajun spice is a gourmet’s delight. The Grecian and Bronx pizzas, too, fall in the same category, while its Chilly Willy pizza topped with pimento chilies, jalapenos, roasted garlic, chicken and mushroom will leave those who love spicy food craving for more. With all these, the restaurants in the country are all set to celebrate the grand festival which is on 3rd of November offering a wide variant of food delicacies. A Sigh Of Relief For Startups On “Angel Tax”..